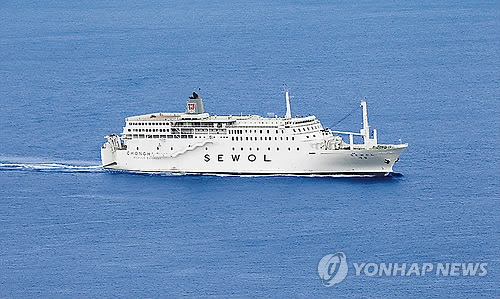 The number of passengers and the weight of cargo on the Sewol were falsely reported, raising suspicions that the ferry company was trying to cover up allegations that the ship was overloaded. In a departure report, Chonghaejin Marine Co. told authorities at the Korea Shipping Association that it had 450 passengers, 24 crew members, 150 vehicles and 657 tons of cargo on board, according to YTN reports on Sunday. But shortly after the accident on Wednesday, the ferry operator quickly changed the numbers, reporting that it had 477 people on board and was carrying 1,157 tons of cargo. The ferry was also found to have loaded 180 vehicles. Chonghaejin Marine Co. has changed its reported number of passengers several times. On Wednesday, the stated number of passengers changed from 477 to 459, then 462, and again to 475 throughout the day. Then, on Friday, the number was changed again to 476.